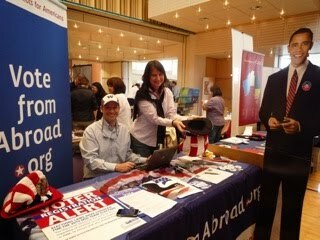 Democrats Abroad Switzerland: DA was at Expat Expo in Zug! DA was at Expat Expo in Zug! 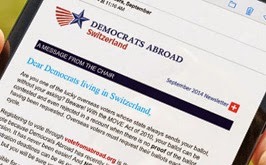 Dems Abroad was at Expat Expo this weekend in Zug. President Obama (a.k.a. Obama-in-a-box was also at our table and said hello to others at the fair, posing for pictures. Look for us at the next Expat Expo in Basel on May 30th. We are looking for volunteers to help man the table, please email secretary@democrats.ch if you can help.